Renovated in 2016, HIlton Auckland offers stylish rooms and suites in an idyllic location at the end of Princes Wharf. Guests can enjoy luxury dining at FISH restaurant, which offers a creative menu with a focus on fresh local ingredients. Guests receive access to an outdoor swimming pool and indoor fitness facilities. 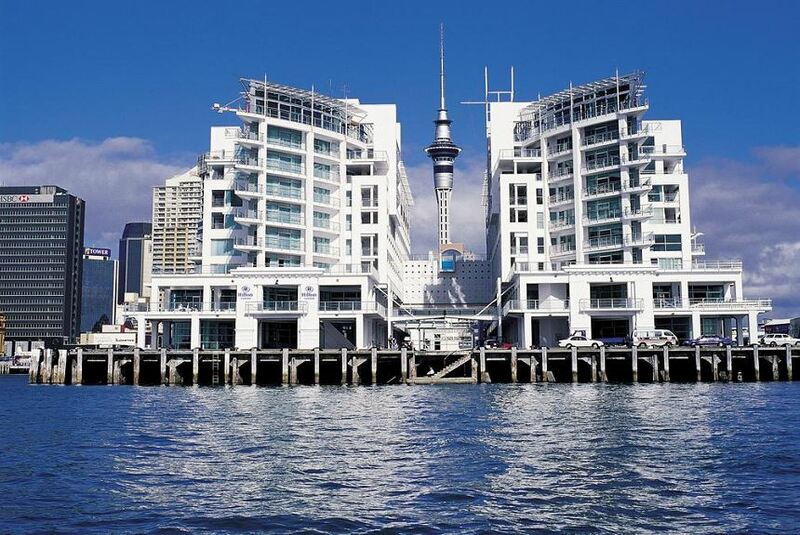 Hilton Auckland is situated in Auckland CBD (Central Business District). With sweeping views across Auckland’s harbour, Hilton Auckland also offers the elegant Bellini Bar, with an extensive cocktail men. A variety of contemporary event spaces are available, that can host up to 700 guests. Hilton Hotel Auckland is just a short 5-minute walk from Auckland city centre, the vibrant Viaduct and Britomart entertainment precincts and the new Viaduct Events Centre. All rooms feature contemporary decor, wireless internet access, a work area and a private balcony with outdoor seating. Some rooms offer views over Auckland’s waterfront.